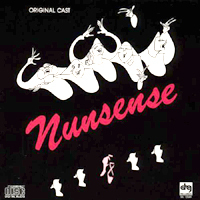 Original London Cast, 1987 (JAY/TER) (3 / 5) A bit more complete than the Off-Broadway recording, this one includes the full dance music and vocal in “Benedicite,” the second-act “Dying Nun” ballet, and the brief “Gloria in Excelsis Deo.” In most other respects, the London cast album of Nunsense is on a par with the New York original; some of the singing is a bit more adventurous, but the performers’ British accents lend the score a slightly stodgier feel. 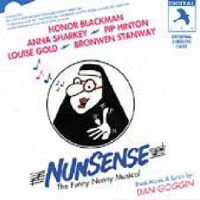 The cast includes Honor Blackman, Anna Sharkey, Pip Hinton, Bronwen Stanway, and Louise Gold. All are competent. — M.M.